Hello fellow sports fans! 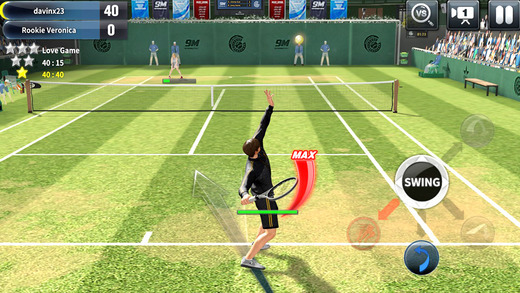 Today we bring you the best tennis games for iOS for all the tennis lovers out there. Grab your iPhone, or iPad, and play whenever you want! Practice and compete against your friends, play against the computer, build your tennis career, and become the next Roger Federer! We have researched, tested, compared, and then compiled a list with the five best tennis games for iOS for you to play. 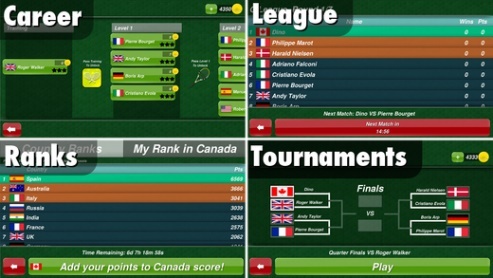 These, iPhone and iPad games have high rates and are played by many tennis fans daily. 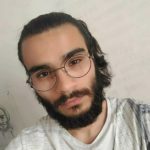 Anyway, coming back to the games, the games have different features and graphics; therefore, we will analyze and rate each one to help you pick the right one for you. Without further due let’s talk about the best tennis games for iOS. First on our list we have Ultimate Tennis produced by 9M Interactive Co., Ltd. This is one of the most stunning games on our list, with beautiful graphics and intuitive gameplay. Ultimate Tennis puts you on the tennis field and truly takes you on a journey through the tennis universe. The game allows you to fully customize your own character, form a team and enroll in several tournaments. You can spend your virtual earnings on cloth and other in-game accessories. Ultimate Tennis is a fantastic game for anyone looking for a well-designed tennis games that focus on career-building, customization, and team recruitment. Stick Tennis is a very entertaining tennis game with simple graphics and a high focus on tactics. Stick Tennis is simple to play but hard to master, meaning if you truly want to become one of the best, you have to practice and develop a functioning tactic. The further you progress in the game, the more characters you can unlock. So, pick your favorite tennis player and join a tournament! The game features no customization and the overall design is very simple. Stick Tennis is an iPhone and iPad game aimed at tennis fans looking to play with their favorite all-time tennis player and improve their in-game tactics. Hit Tennis 3, produced by Focused Apps LLC, is one of everyone’s favorite, currently is the most rated game on the app store and is available in a wide variety of languages. The game is very simple and straightforward, swipe or flick your finger to hit the ball. Unlike other games that focus on simulating a real-life tennis environment, Hit Tennis 3 focus on what matters: tennis and fun. The game is first person view, meaning you don’t see your character on the court field, you have his point of view and focus on the actual game. 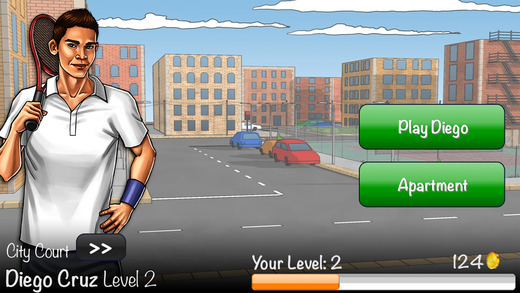 Throughout the game, you will compete against better players in different tennis courts. The goal is to earn points and enter the World Ranking Tournaments. 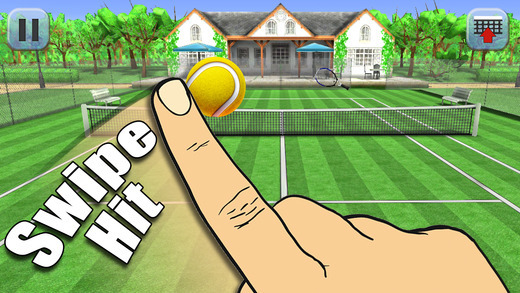 Without a doubt, Hit Tennis 3 is one of the most fun and simplistic tennis games for iPhone and iPad; no hassle just play and compete, swipe and flick to victory. Tennis Champion is one of the most complete games on our list. There’s nothing you can’t do on this game; buy rackets, sneakers, training courts, player avatars! Play in a League, Tournaments, Rank among the best and build your Career! Take full control of your journey as a tennis player. But wait, there’s more, Tennis Champion allows you to play against your friends on the same iPhone or iPad device (Split Screen Multiplayer) and play Online Multiplayer against other tennis fans throughout the world. Tennis Champion has all a player needs to dive into the tennis universe and grind to the top while spending the virtual money you earn and compete online against other players. The game has 3D graphics and 3D physics that run smoothly without any lag or crashes. A very immersive tennis experience right on your iPhone. However, one thing that I believe this game is missing is the option to wager on tennis matches with the virtual money you have for a real life experience. This idea comes from the increased popularity of betting on the go in the online world. 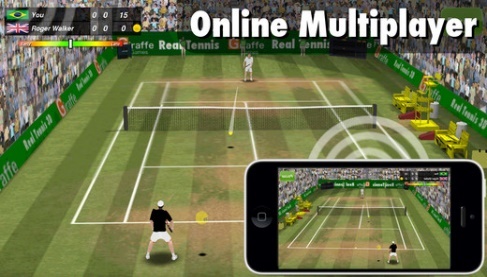 One of the most realistic and popular tennis games currently available for download. Produced and distributed by SEGA, many already know this game but it has been recently exported to iPhone and iPad. 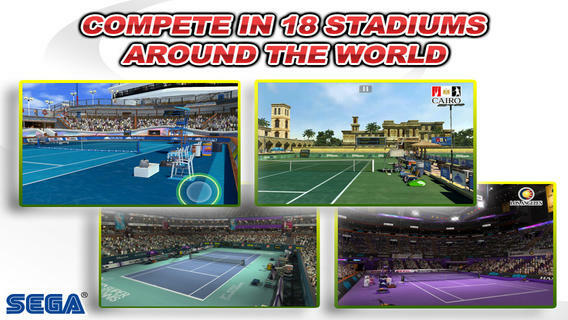 Virtua Tennis Challenge is one of the most popular tennis games in the world. The game focus on your tennis career and your growth as a tennis player. Go from playing in a park to competing in 18 famous real-life stadiums. 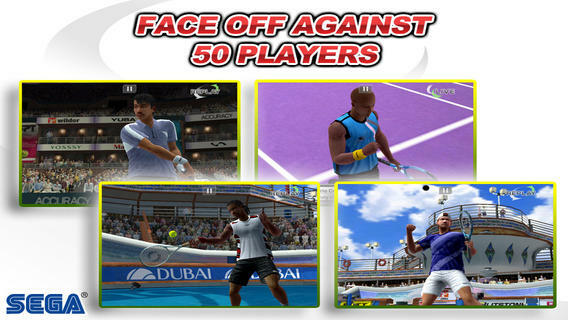 Virtua Tennis Challenge features multiple modes and character customization. Earn and spend your money, grow from an amateur player to a professional tennis celebrity. Everyday there are new challenges and new rewards, compete all around the globe and conquer the tennis universe! 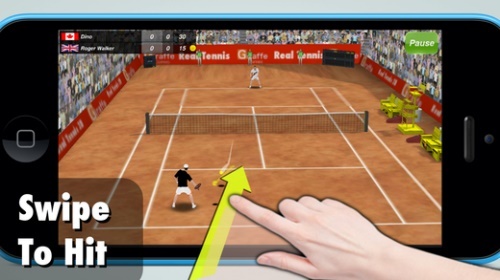 What did you think of our best tennis games for iOS list? Have you found the game you were looking for? Let us know in the comment section below and feel free to suggest more tennis games! Don’t forget to share this article with your friends and challenge them for a game of tennis! Júlio Ventura Digital Marketer, Webmaster, Writer, and Tech Enthusiast. Undergraduate in Translation from Faculty of Letters in Lisbon, Portugal. 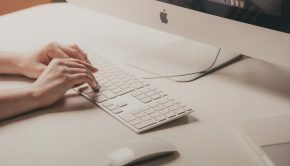 Postgraduate in Digital Marketing from Lusofona University in Lisbon. On a quest for further knowledge.